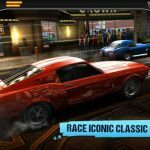 These tips and tricks aren’t limited to so-called “cheats,” but you’ll want to try them the next time you play CSR Classics – they just might be what you need to take your racing to a whole new level. 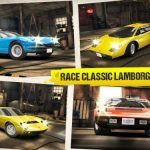 There are actually different ways to get free gas for CSR Classics. First is the time lapse cheat, which would require you to advance your phone or tablet’s time forward, maybe by about one hour and a half to get a full tank of gas. You can switch the time back to normal right after performing the time lapse and you won’t get your gas forfeited. 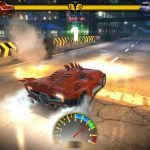 There is a catch, though – the game will not build up gas until your actual time is equivalent to the previously adjusted time. Alternately, you can also like the game on Facebook or watch ad videos to get free gas – this isn’t cheating, and you’re free to watch as many ad videos as you please. When purchasing imported parts for your car, you won’t be able to access them right away – you’ll have to wait six minutes. That isn’t a long period of time, but since we understand you may have other things on your plate aside from CSR Classics, you can use the time lapse cheat to advance the time by six minutes, allowing you to access the imported parts the moment you load the game up again. Keep leveling up until you’ve got a whole lot of gold to spend, and spend that gold on a premium decal or two. 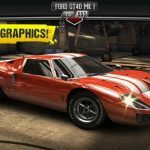 These decals allow you to earn much more cash when you win races, and to maximize this, you’ll want to race in regulation mode repeatedly, all with the premium decal applied to your car. In the real world, the external appearance of your car won’t have any bearing in a race. But that’s not the case in CSR Classics. As we mentioned above, premium decals will earn you more cash after each race, and that money could exceed the prize pot and then some. Adding to the earlier tip, buying a premium decal early on in your current tier could be a great way to rapidly rack up the money.